The month of February gets its name from Latin term februum, which means purification, via the purification ritual Februa performed at this time of year. The Romans also considered it an ill-fortuned month which is why it is shorter than the others. So the theme here for February will be curses, cursed items, ill-fortune and, maybe, counter measures against such. As usual, if there is something along this theme you would like to see let me know by posting here or in the Sea of Stars forum. This episode sees the addition of a new player, the use of fate cards and the establishment of the framing mechanism of the campaign. Picking up from where the first session left off, the original trio of characters pray at the Lonely Mountain Shrine and then headed back down the mountain with a nun, Hyoko, as a companion assigned to the Soshi samurai-ko. The journey back down is less eventful. After the gods were deposed and the world Sundered, access to the other worlds became exceedingly difficult. It is believed that the Empress sealed the worlds beyond away, while the gods who ruled them had been slain, many of their servitors survived, now impotently sealed away in their paradises and pits. The beings of the worlds beyond could still be brought though into the world by use of spells and rituals but rarely for long. The previously existing gates to the higher and lower worlds beyond were shattered and destroyed immediately after the Sundering as the dragons seized and plundered the churches and temples. Those that have opened pathways to such places have been able to cross over but none have ever returned. Obviously, travel by sky or star ship is terrifying to some people, to assuage their fears, this magic item was created. Remember to wear your Safety Belt at all times when walking the deck, you never know when a high wind will come up. Remember to keep your hand on the rails whenever possible and immediately return below decks if you hear the bad weather horn sound. -part of the safety lecture on the sky ship Princess of Dawn. These sturdy belts are usually marked with the name of the ship or company that they were commissioned for. Some are fancy and decorated, others are plain and practical, as the person ordering them thought best suited. Being a sailor has never been the safest of professions but in the Sea of Stars, those souls who brave life on the star ships and sky ships have an even riskier path than their sea-bound brethren. For while one may be rescued after a fall into the water, falling off a sky ship or star ship is almost inevitably fatal, these risks are known by all who travel. The Genius Guide to: the Shadow Assassin is a 9-page PDF (8 pages if you remove the credits/OGL page) for the Pathfinder RPG written by Owen C. K. Stephens and published by Super Genius Game. This product is part of the Super Genius Games’ Genius Guide line. 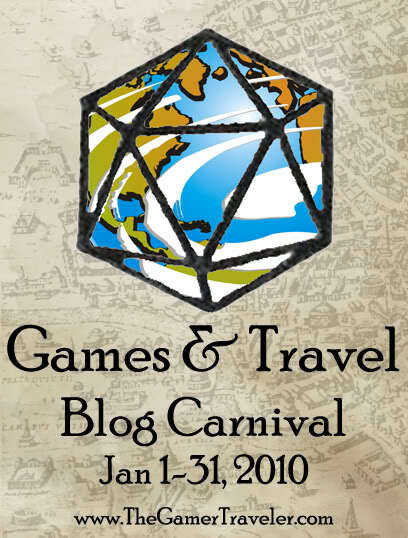 It turns out that this month’s Blog Carnival is Games and Travel, which I was entirely unaware of when I choose travel as my theme for the month of January . Flying Mounts and Other Magical Beast for Travel, are flying horses worthwhile? Magical Travel in the Sea of Stars, teleportation not always the safest route here. The Seven Gate Cites, for trade, transit and wonder. Star Ships and Sky Ships, what there are and how they work in the Sea of Stars. Sailors of the Sea of Stars, people who work of the star and sky ships. Trade in the Sea of Stars, how trade effects travel. Worlds Beyond the Sea of Stars, other places beyond. Safety Belt and Deluxe Safety Belt, safety first! Especially when traveling the space between the stars. Soldier’s Sandals, for the army on the go. Traveler’s Cloak, to make that long distance travel more comfortable. I will update this through the month. Fun to be part of the Blog Carnival again. You are currently browsing the Sea of Stars RPG Design Journal blog archives for January, 2010.